In 2014, Digital Learning Day (DLDay) featured Talladega County Schools in Alabama for its systemic vision, the way the teachers leveraged technology, and the culture change it underwent to make it happen. Now, five years later, it continues to create dynamic student learning experiences through the addition of STEM opportunities, even though funding remains difficult. Since 2014, Talladega has recognized that many of its students lacked the needed internet access at home and created innovative solutions and partnerships to close this gap. Dr. Suzanne Lacey shared the district’s progress over the past five years, how they continue to overcome obstacles, and how rich digital opportunities are leading to deeper learning experiences for students and higher achievement results as a district. Veteran Principal and Future Ready Advisor, Jimmy Casas, discussed how school leaders create cultures of innovation in their schools. It’s no secret that school and district leadership set the tone for such transformation, but building trust, modeling the way, and creating a culture of excellence remain vital for the change process to happen and be sustainable over time. Future Ready Schools’ Director of Innovation, Thomas C. Murray, moderate the event and drew upon his experience as a former principal and district level leader. Additionally, he shared what’s been happening around the nation through the work of Future Ready Schools. Thomas Murray: Hello, and welcome to Digital Learning Day 2019. I’m Tom Murray, the Director of Innovation for Future Ready Schools, a project of the Alliance for Excellent Education, and we’re coming at you live this morning from Washington, DC. Thank you for investing the time with us today. If you’d like to join our ongoing conversation on Twitter today, our hashtag, like it is for every Digital Learning Day, is #DLDay. We also encourage you to share your celebrations as we’ll be sharing some of the over 2,000 celebrations that we’ve had, that we’ve seen online in just a little bit. Joining us today are Suzanne Lacey, the superintendent in Talladega County Schools and one of our future ready advisors for our district leadership strand; Jimmy Casas, an award-winning educator, best-selling author and future ready advisor for our principal strand; as well as lifelong educator who was recently named the President and CEO here at the Alliance for Excellent Education, Deb Delisle. Thank you for joining us today. We are honored to have you. 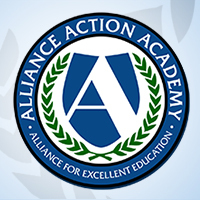 When the Alliance for Excellent Education launched and celebrated Digital Learning Day back in 2012, the idea was to celebrate all of the great things happening in classrooms throughout the country and how technology was leveraged in that process. On that very first Digital Learning Day, we at the Alliance for Excellent Education strive to create a safe place for educators to try something new, to empower students with new tools and resources, and to give up a little bit of that control in the process to see what happened. Today we celebrate Digital Learning Day’s eighth year. The purpose of today’s Digital Learning Day is not to go digital for one day. In fact, it’s just the opposite. Today is a celebration of the amazing things happening in all 50 states and how the amplification of technology can help empower new and better opportunities for both teachers and students alike. Since the launch of our very first Digital Learning Day, districts have worked diligently to gain the connectivity they need to match the promise and the practice of what technology can do for student learning. According to our partners at Education Superhighway, 40.7 million more students have high-speed internet access than they did in their schools in 2013. This means that 98 percent of our school districts in the United States currently have the needed bandwidth to leverage technology as a learning tool in the classroom. Yet with such progress made, due to the diligence of so many, our work here at the Alliance for Excellent Education and Future Ready Schools, as well as your work to continue to move forward is issues around equity in opportunity and equity in access, topics that we’ll dive into later in this webinar, remain prevalent, particularly for traditionally underserved students. At this time, it’s estimated that 2.3 million students still lack the needed connectivity in their schools. It’s important to remember that connectivity at school isn’t the only thing to consider as we move forward in this work. A lack of home access, previously coined the homework gap, also remains with last count from the Pew Research Center estimating that approximately 5 million of our nation’s families with school-aged children do not have the needed internet access at home. Our black and Hispanic families are disproportionately represented by these numbers as well. So there is undoubtedly more work to be done. The good news is that school and district leaders, as well as so many of the state and federal levels continue to work through these disparities and equity issues so that we can best support our nation’s greatest asset: our children. Later in this webinar, we’re also going to highlight a few Digital Learning Day celebration events that are occurring today. If you’d like to see for yourself what’s going on around the many classrooms in our country, we encourage you to search the DLD hashtag on Twitter. You’ll see robotics, STEM celebrations, computer science activity, students learning through creation and design as well as many other educators amplifying learning opportunities through the use of technology. Most importantly, like you see in great classrooms every day, you’ll see students who are excited and engaged in their learning. Also in today’s webinar, we’re going to recognize this year’s district highlight winner for the first-ever future ready film fest. We’ll have that coming up in just a little bit. What an exciting day we have for you all because of who we also have here on our panel in our studio live today. You know, it was five years ago when we first highlighted Talladega County Schools under the current leadership of Superintendent Suzanne Lacey. Let’s take a few minutes to flash back to 2014 and our Digital Learning Day highlight of Talladega County Schools as it was then. Thomas Murray: Suzanne, what an honor it is to have you again five years later. I mean, can you believe it’s been five years already since that first highlight? Suzanne Lacey: It’s very hard to believe that it has been five years, and a lot has happened during that timeframe. Thomas Murray: Yeah. You know what I’m so impressed about in the leadership and continuing to follow the work in Talladega, there you were five years ago, a national highlight, Digital Learning Day, all across this country you’re celebrated, but you’re looking at that almost as a launch point. You didn’t look at that as we’ve arrived and we’re here, we made it. That was a start to new and better things that continued. So talk to us about what they saw from five years ago, talk to us about what’s been going on in Talladega in the last five years, maybe some challenges you faced, new things you’ve taken on, and I hear we’re gonna get to take a look at some of the things happening today in just a little bit. Suzanne Lacey: Absolutely. The learning in Talladega County Schools is much deeper than it was in 2014. In 2014, we were not a one-to-one district at that time, but we now are. That has been a game-changer for our students throughout the district. We were a half poverty rural district. Because of the access of technology and every student being able to have a device, the learning has increased tremendously. In the beginning, we looked at our data to see where we really were, how many students we were graduating. The statistics at the end were not very good. 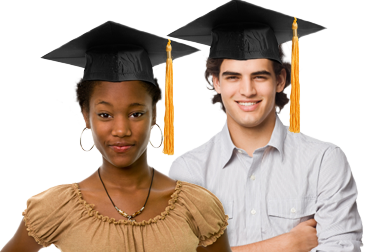 Currently we are graduating 93 percent of our students from high school. We’re so excited about that. And I would say that technology energizing the curriculum, our teachers really coming onboard through the empowered leadership is truly making a difference in the education of all students in our district. Thomas Murray: Yeah, and leadership and that culture, really the theme of this webinar in setting that tone for innovation is something that you value, something that we see from a distance that you model as well in building that team. Now, let’s take a look to see some of these learning experiences in action, some of the things that have currently been going on in Talladega. We’re gonna call it the five-year update of some of the great things happening in Suzanne’s district in Alabama. Let’s go take a look. Thomas Murray: Wow, Suzanne, that is some exciting stuff. As superintendent, you must be so incredibly proud. You know, in fact, when you were answering that other question before, I just see the pride in your eyes of your teachers, of your kids, the things that are happening in Talladega. Share with us some of the things that we just saw, some of the new things happening in Talladega, maybe the why behind it, some of the learning experiences that your kids are currently having. Suzanne Lacey: I mentioned earlier about the rich learning experiences throughout our district in classrooms, libraries, maker spaces have been developed to really bring the learning to life, where students can create, innovate and tinker with all types of resources that really encourage and make them more proficient problem-solvers. We are so excited when walking in classrooms to really see that action going on. Kids can articulate their learning, tell you what it’s all about and how it has relevance to how it might transform to a career one day. Maker spaces, again something that we are continually working on. We have technology coaches in all 17 of our schools working alongside our teachers and media specialists, so that has been a real interesting development as our media centers have really become active learning centers. Thomas Murray: And how have students responded to those kinds of changes? Suzanne Lacey: Students are really thrilled about their learning. They can talk about their learning, you see the excitement in the projects that they’re creating, and most importantly how they are aligning those projects with future college and career readiness interests. Thomas Murray: Awesome. Such great things happening in Talladega. Proud to say I’ve been there myself and saw those things in action and heard from those students and seen the excitement in the learning. Now we’re gonna take a moment to highlight a few of the other celebrations and other great things that are happening around the country on this Digital Learning Day. You’re seeing students in Point Isabel Independent School District in Texas take a virtual tour of Alamo Battlefield. This high school astronomy class is analyzing photos of students – that students took using NASA’s earth cam on the International Space Station. These high school seniors are using the Digital Learning Day to prepare for their future. They’re constructing resumes, peer editing cover letters and practicing interviews in preparation for their big day of the real world application of these. Check this out. Students created a model of themselves using a 3-D printing and photography. Way to go, Blake. You know, creating the conditions for such change takes district leaders that exhibit the qualities of leadership that you just witnessed in Talladega. But at the building level, it also takes a culture of innovation and risk-taking. And we know building level leadership, specifically our principals, play such a key role. Jimmy, you’re someone who has modeled this type of leadership as a lifelong high school principal in Bettendorf, Iowa, as your incredible words of wisdom, your bestselling book Culturize on how school leaders can really model the way. So how is it that school leaders can create these types of cultures needed for this kind of change to take place? Jimmy Casas: Well, I’m gonna share with you – kinda maybe just start off with three simple steps to kinda think about how you can begin to implement and impact change in any organization. So number one, the key is you’ve got to believe. First of all, that is so critical. I think we often talk about that we can believe these things can actually happen, but sometimes I’m a little doubtful on that so should we actually really believe it. So that’s the first thing is to create a mindset that every day you’re walking into the building, that you truly believe you can walk in and inspire others to do more than they ever thought possible. Number two, you have to have a vision. Somehow we have to create an understanding of why are we doing this. So if you’re going to look at innovation, creating this culture, people need to understand the why behind rather than just tell them how do we begin to show them what it can actually look like to once again to inspire them to be able to do these things? And then the third component of change would be input. And so often if you’re looking at any type of implementation of any type of change is to really understand that we have to get input from other people. In other words, how do we use those four powerful words that we talk about all the time – I need your help – because we’ve got to quit trying to do these things by ourselves. Voice is so critical because that’s the only way we’re going to get investment. So if we’re looking at leading change, those are three steps that I would encourage people to think about. Too, obviously the modeling part. Component you just mentioned, you know, we talk about all the time what we model is what we get, so we shouldn’t be asking other people to do what we’re not willing to do ourselves. So as a building leader, we have to be invested. We have to be a part of that. And again, it isn’t just talking about it, but showing people. So that means taking people on site visits, allowing people – I can still remember how many times we would go on site visits, and if people could see the amount of change that can happen just in a car ride somewhere, the relationships that are built, the conversations that we can have are so powerful and critical in building this culture of trust where people begin to understand why we’re doing what we’re doing. Again, teachers and administration, they have to also be invested, they have to lead, they have to model, they have to be willing to learn. We can’t be asking our kids and our teachers that we ourselves aren’t willing to do. And sometimes I get concerned from a generational standpoint. Oh, I’ve been a principal for 15 years, I don’t need to do that or I’ve been principal for a long time. No, we’re always modeling and learning. That is our key thing that we do, and for all schools, obviously, so we have to model that as well. And then the one thing I think about too in modeling, Tom, is access. We’re trying to create these organizations that have access to technology and these different devices and so forth, but yet today I can still walk into schools and even though there’s access in the district or in the community, schools are not providing that access. We’re seeing the reverse opposite. We’re closing down tools, whether it’s YouTube or social media, because for the fear that perhaps the kids are using it inappropriately. And so I think if we’re gonna talk about open access, I think it’s so critical, but I do get concerned sometimes we worry about the what-ifs, like what if this happens and what if that happened. It’s always interesting that we don’t say, well what if we just created some really amazing things. We go right to the what if they do this and what if they do that. So it’s a mindset shift. And then last, implementation, number one, clear expectations. Another example I think can be a little bit of a pitfall maybe is tech teams. And I did this and so I just share sometimes the mistakes that I made is even by creating tech teams, we think we’re doing the right thing, but unfortunately what happens, we have the same people doing the work all the time. And eventually what happens is we burn these people out or we even create divisions in our culture where people say, well that’s their responsibility, they’re the tech team, so no longer do they see themselves as capable doing that tech. So the mindset is how do we create a culture where everybody sees themselves as a tech leader and implementation leader, a learning leader. And so that’s what I look at classrooms and cultures in terms of that. And then the last thing is how do we provide ongoing support, and that happens, honestly, through classroom visits. And it’s not a classroom visit to go into whether – to see whether or not they’re using devices and how they’re infusing technology. So it’s not a gotcha culture, but we have to create a culture of I got you. Thomas Murray: You know, Jimmy, one of the things – I really like that, what you just shared there. One of the things that you said early on is really this notion of we have to show them. You know, one of the things that I find that we often do is we’ll say we can’t do it the traditional way, we can’t do it the old way, that’s the way we did it 20 years ago without showing them this is what it can be, this is what it can look like, this is what it is in practice. And what I know about teachers is they’re perfectionists. They wanna do it right that first time, and that comes from high expectations. They wanna do it well. And then you also touched on this fear piece, and I saw something recently. Fear can either stand for forget everything and run or it can stand for face everything and rise. And when we talk about that in terms of leadership, transitioning to you, Deb, now you’re somebody that you work the full gamut. You’ve been a teacher in a classroom, you’ve been a building principal. You’ve been a superintendent of a school district, you’ve been a state superintendent in the great state of Ohio, and you’ve also been at the US Department of Education at the highest levels. You see leadership on a micro level in a school building with teachers in faculty rooms. You’ve seen leadership at district levels, state levels and across the country. And we talk about leadership, we talk about creating these cultures of change and the things Jimmy was talking to. Why doesn’t that actually work? Share with us some of your experience with that. And by the way, welcome to the Alliance. Deb Delisle: Thank you so much. It’s really great to be here. I’m always a little embarrassed when people start going back through all the roles I’ve had because some _____ gonna say can that woman keep a job? But I just have been so honored and actually humbled to meet folks like the two of my new colleagues and new friends over here because leadership matters and it matters a whole lot. So I’ve always been a firm believer that what we offer to students tells them actually what it is that we value. So by creating innovative and engaging learning environments, we tell kids that we value the talents and skills that they bring into the classroom, into the schools. We tell them that we’re indeed going to respect their own talents and skills. So you know, I was so impressed when both Suzanne and Jimmy were talking because I’ve seen folks like them across the country, and too often, the media focus is on people who don’t do the right thing or people who aren’t working hard enough. So a couple of things that I’ve observed – a few things I’ve observed across the country is that I go back to leadership matters and it matters a whole lot. If there’s not a directive and a vision from the top leadership, whether it’s at the central office by the superintendent or at the building level by the principal, teachers don’t know necessarily what’s expected of them, and they need support. They need the tools to do the job and the skills to do the job to create these learning environments, so professional learning is absolutely critical and we need to be sure that we’re engaging teachers onsite 24 hours a day with what they can access to become better skilled at the craft that they do. I’ve also – you know, I’ve also always asked myself one question walking into schools, and that is is this school good enough for my own kid? Because if the answer to that is no, I feel like we have a moral obligation to be sure that it’s okay for everybody’s kid, not just mine. And too often in our country, we relegate technology to be something like a prize, you know, if you finish this homework, you get to go on the computer. If you do this, you get to do that. And it’s not, it’s an actual tool for people to use. So what I’ve seen is textbooks being set aside, getting kids online to understand how do they determine or distinguish what’s accurate information they’re receiving, which is so critical in this day and age, and also getting kids to understand how do they pursue their own passions and interests? When we prescribe one curriculum topic for every single student in our class, I think we do a great disservice to kids when we don’t say what is it, Tom, that you’re interested in learning more about. Or perhaps Tom can be an assistant to that teacher who may be just a little bit hesitant of how to use technology in a greater way. So one of the best things – I was thinking of this when you were talking about tech teams – one of the best things I saw at one point was when a district went one-to-one, they actually required every teacher who went to a professional learning session to bring a student with them. And those students became part of the tech team. And it was a great assistance. So if I’m in a classroom and I’m struggling with technology, I may call on Suzanne as one of my assistants and say, “Could you go help Jimmy with that?” And maybe I don’t know how to help, but Suzanne did. So it became a real team effort, and I’ll tell you what happened as a result of that. Kids who were selected to become part of that were often the kids who were sent to the office. Well, suddenly they’re engaged in a really positive way. Behavior issues went down, kids were in the hallways before school started with their laptops or their tablets, helping each other. It just took on a whole different tone, but again, it starts at that top with leadership really does matter. Thomas Murray: You know, when you’re talking about one-to-one, and as we celebrate today, there are so many districts that have had that vision and had that goal, but it’s so vital to get to what you’re talking about here that we remember and we think about the right one in the one-to-one. It’s not the device. It’s the kid. Deb Delisle: Right. It’s absolutely the kid. Thomas Murray: The other thing, you know, with your future ready schools, we’ll often talk about leadership by title versus leadership by action and, you know, it’s not the title on somebody’s business card, _____ superintendents and principals, but we all know it’s not the title that makes them effective. I know from my experience, some of the greatest school leaders that I’ve ever worked with were that fourth-year teacher that runs through walls for kids every single day, that support staff member that is a backbone to that building and does whatever it takes. Now, Suzanne, it’s no secret in Talladega, and we’ve seen throughout and tracked over the years the way you really empower those around you. You know, districts cannot be successful if it’s all about one person, and for you and your humility is always on display, but you invest so much in empowering those around you through teachers, through your principals, that collaborative leadership, the outside ring in the future ready framework. Talk to us about that and talk to those other superintendents that are watching today. How can they really build capacity in other people so that their district can truly thrive for kids? Suzanne Lacey: From early on, teachers have been the primary focus of change in Talladega County. We have been on this journey for eleven years now, and without the support and development of extraordinary teacher leaders, we would not have moved at the pace that we are currently moving. Teachers are always at the table. We love to hear their ideas. We invest in their ideas, we invest in their professional development, which has been something I think that has really been a primary focus in Talladega County Schools. We can’t say take this device, go use it in your classroom. That’s not the way to do it, and we know that. Our partnership with the League of Innovative Schools and a partnership with Google has trained our teachers to work alongside – our coaches, rather, work alongside our coaches to really invest in that model for coaching. As a result, we are seeing much higher levels of learning in our classrooms because our teachers are feeling more confident about how they’re utilizing the technology to support student learning. Creating teacher leaders at the top of our priority list. We have so many extraordinary leaders throughout our district that at the time, we really didn’t know their capability until we started looking to them for their voice. Same way with students. Deb, you mentioned creating that student leadership team or student tech team. They can help the adults. That is so prevalent in our school district today, and we have created so many student leaders as a result, and many more are emerging that we didn’t even know their talents, but just by asking the question and giving them an opportunity to showcase their interest and what they wanted to learn more about has really created some rich learning opportunities. Thomas Murray: Absolutely, and I love the focus on student leadership. You know, one of our key focuses, if not our key focus, here at the Alliance for Excellent Education is equity. And in your district, very high rates of free and reduced lunch, and what we often see and what we’re seeing more and more, especially through the work with future ready schools, is superintendents like yourselves taking a stand and not making excuses, not saying our kids are too poor or we’re too rural or we’re too this or we’re too that. Doing whatever it takes and, Jimmy, that really reminds me of something that you constantly go back to and you constantly say of every child, every day, whatever it takes. Talk to us about what you mean by that. Talk to us about the equity side of all of that where, going back to what Deb said earlier, you know, looking at it that personal end, and I know as a dad myself, I look at is this what I want for my own child, and if so, I wanna make sure every child has that opportunity. So, Jimmy, talk to us about kind of that model that you often say, and it really gets to the heart of what we’ve been talking about, every child, every day, whatever it takes. Jimmy Casas: Yeah, so that comes from personal experience because I often tell people I didn’t have a real positive experience myself in school, which is part of the reason why I became an educator. And so I think it’s pretty clear, like if you think back when we all went to college, I believe all kids can learn, right, in that theory class. But are we really talking about all kids? Are we talking about children of poverty? Are we talking about children of color? Are we talking about children with special needs? Are we talking about those children that some days we just don’t like those children on those days. So if we’re gonna say all kids, do we really mean all kids? And so I think about just for example when you first took that – when you had an interview for a job, you’re sitting there, you want that teaching job, and you’re trying to convince the committee that you will do whatever it takes for all kids, that you wanna be a champion for all kids. You tell a story about why you wanna become an educator, and then the question comes that happens two years later, five years later that now we have people in the guidance counselor’s office saying, hey, I’m not sure these kids belong in my classroom. So what happens? How does that transform to a teacher who wanted to be a teacher to make a difference for kids, and here we are a few years later saying I’m not sure these kids belong in my class anymore. I’m not sure those kids should be able to take that class. And so we begin to put labels and we put limits on children. So then it begins to remind me also just about elementary experience. If you think about children who go through the system, what do we say to kids? We love you, we care about you, you can be whatever you want when you grow up. We say these things, but what we forget to tell children is, as long as you comply, as long as you do the work. And so I often think what happens to educators over the course of time. So it’s really not just about every student every day, whatever it takes. It’s really about every teacher every day, whatever it takes; every principal every day, whatever it takes. So how do we build a community where everybody’s taking care of one another and we realize that we can’t do this by ourselves? So unless we make the commitment, no one out there is gonna do it for us, and I think sometimes we’re critical of the narrative that’s said about us, but then I think what are we doing to change that narratives within the buildings and the confines of where we’re at? So that’s kinda what I think about in terms of when I begin to look at equity. And so sometimes I also worry when I go into buildings now, I see pockets of excellence, and that concerns me because, yes, that’s a good start, but if we’re not creating that system of excellence, that’s creating equity issues. Some kids are getting it, some kids are not. Some teachers are getting it, some teachers are not. So bottom line is being a champion for all kids means we just can’t quit on any kid, because if we quit, we didn’t make a difference. And so I often share with people one thing to maybe think about is maybe think long-term because in the short term, oftentimes we don’t see the immediate results, and I think that’s what frustrates us. So you have to believe what you’re doing is making a difference because if you quit, then you know you didn’t make a difference. Thomas Murray: You know, now, Deb, you are often very outspoken at all levels about the vast disparities that we receive regarding equity, particularly for our traditionally underserved students, whether it be equity in opportunity or equity in access, simply put, many of our students of color have not had the needed opportunities that other children have. With equity being heart of the work of Alliance for Excellent Education, can you share with viewers how they can ensure that it really stays core to their work as well and not simply some sort of checkbox? Deb Delisle: Yeah, thanks for even asking that question and bringing it up. I have been very outspoken about it because, you know, I think I have moved away from trying to convince people to stop talking about an achievement gap because very often that comes back to the student. I offered this extra class, they didn’t come, they sat in the back of the room, they didn’t turn in their work, they had a second chance. When in fact it’s really about opportunity. So when I mentioned earlier that I always ask whether or not the school is good enough for my kid, I feel like I can’t rest at night until every school is good enough for my own kid. Because why we allow that to happen is just – it’s sad to me that it’s okay for other people’s kids. So you know, I was so excited to come to the Alliance simply because of the fact that it has this massive focus on equity, and I love you sharing your story about that school wasn’t good for you because what I fear is that too many of our classrooms and schools are staffed by people who did school well. School worked for them so they simply can’t understand why it doesn’t work for certain kids walking into the doors – through the doors. And I too have witnessed vision statements across this country where all kids will learn. But then you see their practices and you recognize that all doesn’t mean all. So one of the things I always think about every single day is how can we give teachers and principals and superintendents not just the skill to do well by every student, but the will to do it. You know, I kinda shudder a little bit when I go into school districts and they’re raving about they’re just so self-lauding about the graduation rate is at 94 percent. That may be great, but if I’m a parent of a kid who’s in the 6 percent, that’s not so great for me because it comes back to why isn’t my kid walking across the stage or why isn’t my kid reading on grade level. So I do think we have to figure out a way that we share within our schools the background of our students, what it is that they do well and focus on what they do well and what could they bring in. So I’m reminded so often of we don’t always know our kids’ backgrounds and we just may assume they have a place to do homework, but I’ve been in homes doing home visitations where there are six, seven, eight children and yet the teacher’s expecting – in a two-bedroom home – and yet the teacher is expecting that that kid has a space to do their own homework when in fact they don’t. So equity doesn’t just occur within that classroom or school. It also is a great understanding of the community around you and what are the challenges that kids bring into that classroom and then really just talk about technology as a tool for all kids to learn and show kids the way, but even more so support them. So if they’re not – you know, a lot of us jumped into RTI, response to intervention. But sometimes that just seems very prescriptive. And again, getting to know your students, so superintendents and principals like my new friends here, you know, it’s clear they understand their communities, it’s clear they understand what their staff members need, and then you focus on that and you insist there are no excuses here. I sort of laughed a little bit – chuckled inside. We must have been separated somewhere along the way because we had a – when I was a superintendent, our motto was every student every day, some success some way. So it’s very close to yours, and if people across the country can take their own version of that, we would have many more schools who are meeting the needs of all kids. Thomas Murray: Absolutely. You know, Jimmy, I’ve heard you share your personal story. You just opened up to America on I didn’t do school well, you know, and you go from that to now being one of our national advisors for our principal strand, you’re coaching principals and in buildings. What was it for you as the educator, the school leader, what part did educational leaders play in your role? ‘Cause I’ve heard you share, you know, I didn’t have this good experience, but there was this one principal or this one leader. Share a little bit about your story if you would. Jimmy Casas: Yeah, so there’s actually two stories to that, and that is the first one is when I was a junior in high school, I made the decision at that time to quit my baseball team. I wasn’t getting the playing time that I thought I deserved, actually after losing my starting spot. And you know, I’ve also shared that my parents were also frustrated with the system, so it was really hard to have that conversation with them. So I didn’t really feel like I had anybody that I could have that conversation with, but I wanted to be part of the baseball team. But obviously I wasn’t mature enough to make the right decisions, like many 17-year-olds, so I made the decision to quit. And so I still remember my baseball coach coming to the house to pick up my uniform, and when he knocked on the door, I was there and he asked me for my uniform, and so I gave it to him. And I tell people I just wanted him to talk to me, like, hey, don’t quit, we need you, I understand what it feels like to struggle, I’ve been there myself. Didn’t happen. Just took my uniform, shook his head and walked away. And I just never forgot that ’cause for a lotta kids, we don’t have those skill sets and yet we depend on the adults to help us navigate these very difficult times in our lifetimes, and so it’s hard to watch that, and that still happens today in schools. But then I get the exact antithesis with Mr. Morgan, my assistant principal, who was my champion. I mean, I was getting in a lot of trouble at school, I wasn’t invested in school, my GPA was abysmal, but here’s a guy who every day, you know, I spent a lot of time with him in in-school suspension and detention and yet he always found time to talk to me and spend time with me and truly get to see my potential and really advocated for me. And then I got in some trouble my senior year which led to me getting expelled from school. I probably shared too much, but again, it’s because, honestly, I didn’t care. I just gave up. What was the difference? I wanted to quit school, my parents wouldn’t let me quit, so the only way out was the what? To get yourself expelled. So again, it’s the maturity level that a lot of our kids don’t have. But not only did he help me, but he also helped my parents, so he reached out to that community, that family engagement, and understood that my parents didn’t understand how to navigate that system, and he helped them and advocated for us and eventually got me reinstated back into school and made sure I graduated on time with my class. So those are a couple things I often think about. And so the lesson there for all of us is to remember none of us are where we’re at today – I don’t know, somebody has championed us, whether it’s a parent, a teacher, a friend, an uncle, a family member, whatever. So we’re all where we’re at because we allowed other people to help us, so it’s a good lesson for all of us educators is who are we allowing to help us be great. And so we have to allow others to help us. Deb Delisle: Can I add one thing? I really like that the first example you used was – I’m gonna call it a negative one, right. Because I think so often as leaders, we try to figure out all the great things that happened in our lives and remodel those or duplicate those. But I also think it’s really important for leaders to reflect a lot on what were the negative experiences you had where you could promise in your heart I’m not gonna do that to another kid or I’m not gonna do that what was done to me. And I think that’s really an important piece, and I love the fact that you’ve reflected within your career, even offering and being very vulnerable, with you will, with folks in the public about what you struggled with. You know, I remember having an interview as one of my first teaching jobs, and the person said, “Who’s the teacher that inspired you the most?” and I had to look at this person and I blanked, and I thought I was a first-generation college kid, grew up in poverty, and I thought I don’t have anybody to say. Like, will that prevent me from getting a job? In a moment, I almost made up a story because I thought later on I did not have that in my career, my own personal trajectory in learning. So I always think now, like I have an adult child, and if I ever ask him to reflect on school, he never says, “Oh, I love the teacher who made me memorize the states and their capitals.” It was people who made him feel better about himself, and I think we have to remember that. It’s not tested, but it’s really critical that kids who walk into school feel that – especially in a high school – feel that they have at least one advocate in their building, and it could be the custodian, could have been the baseball coach in your experience, right. I think that that’s really essential. Thomas Murray: And really what you’re getting at as well, just hearing both these speak and getting chills as I’m listening to your personal stories, and thanks to both of you for your vulnerability with that. When we think about our why, our purpose, our core, why do we do what we do? And you know, going back to the equity piece, and, Suzanne, related to the equity and access and that why of your belief of every child needs this opportunity, that’s really that why. I know you’ve formed some partnerships over the last number of years. Talk to us about equity and access in Talladega and some of the things that you’re doing. Districts around the country, what continues to give us hope here at Future Ready is they are aware of this issue, they are navigating this issue, and they’re breaking down boundaries for this issue. Talk to us about some of the things happening in Talladega related to equity and access. Suzanne Lacey: Absolutely. In Talladega County, we really rely on partnerships throughout our district and really several nationwide to help level the playing field for our kids. Talladega County is a place that oftentimes maybe gets a bad rap because of the level of poverty. As a school district, it would be a place that we would have a million excuses not to do well, but we love that challenge and we love connecting with partners throughout our county and our state in order to help improve those opportunities for students. In 2014, internet access was about 50 percent for families across Talladega County. Now it’s about 65 percent and growing. We are currently researching and getting some new numbers on that. One of the things that has been so helpful to us is a partnership with Google, who has trained teachers and coaches to better integrate technology to support student learning. Just this year, we added Wi-Fi to some of our school buses in order to give students on those buses that little extra bit of connectivity before they got home in order to be able to do homework or research. And also on those buses, we’ve had a tutor, so that has been especially significant, and a snack provided by our incredibly wonderful child nutrition program. So we are delighted that we are improving opportunities for kids, not only in the classroom, but outside of the classroom through partnership that really level the playing field for all of us. Thomas Murray: Wow. Thank you for sharing that. You know, Deb, Suzanne and Jimmy, thanks for sharing your insight into how leadership can create that needed culture of innovation for our students to thrive. It’s now time to announce the first-ever – that’s right, the first-ever Future Ready Film Fest award winner. Since the inception of future ready schools, the network has been focused on the mission of supporting district and school leaders to build their leadership capacity like you’ve heard today, to adopt evidence-based approaches and innovative practices to improve learning environments and outcomes for all students, some of the exact same things that our panel’s been talking about today. The Future Ready Schools Network is the nation’s largest group of innovative-minded educational leaders and believes that every child deserves equitable access to a personalized student-centered learning environment and robust learning experiences that prepare them for an increasingly technology-driven workforce and world. Participants in this network focus on designing policy and procedures to improve curriculum, instruction, assessment and professional learning, to increase interest-driven personalized routes to success in work and, more importantly, in life. This year, the Empower Future Ready Students Film Festival wanted to capture, showcase and celebrate the values, opportunities and great things happening in schools and districts that embody the future ready framework, growth mindset and spirit of collaborative leadership. With that, let’s go ahead and show our district highlight winner. Thomas Murray: Congratulations to Schaumburg School District 54 in Illinois. We spent hours over the past month seeing firsthand the awesome things happening in districts across the country as the submissions rolled in. After internal voting took place, we reached out to this year’s winner, Schaumburg, just a few days ago. So joining us by phone today, we now have Superintendent of Schools Andy Deross, and Associate Superintendent Nick Meyers. Andy and Nick, first, congratulations. What an incredible video you all put together to highlight the great things happening in your district that everybody just got to see. So thanks for taking some time to join us today. Can you take just a couple minutes to share some of the great things happening throughout Schaumburg? We got to see some of those things but wanted to give you two minutes of congratulations and glory, so go ahead and share some of the great things happening out there in Illinois. Andy Deross: Well, thank you very much. It’s a great honor to receive this award today and to be part of this webinar. I’d like to go back and reiterate a few points that I think have been made today related to the importance of leadership in establishing why this work began in the fall of 2017 in District 54 when we _____ a theme of stakeholders in the district and anchored in a strategic plan, a five-year plan that anchors in innovation in learning space as one of our top priorities. So from the Board of Education to the administration, teachers, community members, we prioritized this work, and I think very critically knew that we had to undertake some changes around why we do what we do with children. So turning it over to my colleague, Dr. Meyers, to highlight some of this specific work. Nick Meyers: Yeah, some of the real exciting work that we’ve been able to do the last couple of years really stems from the creation of what we call our innovate 54 leadership team, which are representative teams of teachers and administrators from each school in our district that’s coming together monthly to talk about innovation and instructional design. We’ve fully integrated the future ready schools framework into those training sessions, and it’s really created some inspiring opportunities for our kids out in our classrooms. As a result of this work, we’ve moved to a one-to-one digital initiative K-8 in District 54. We’ve introduced virtual and augmented reality labs in all of our schools. We’ve converted a couple of our libraries into what we’re calling creation studios that are equipped with digital-audio production labs, film production labs and dedicated spaces for maker space activities. And importantly, with all of it, we’ve really tried to focus around providing strong professional development support for our teachers. We prioritized adding in digital learning instructional coaches to be in our classroom side-by-side with our teachers as we make the transitions that we’re making instructionally for our kids and have just really been seeing inspiring outcomes from all that work. We’re tremendously grateful and thankful for the recognition you’ve provided us, Tom, and your organization as well as all the support that we’ve gotten from Future Ready Schools. We attended a conference out in Detroit a couple years ago, and so much of the framework and so much of the organization of the work that we’ve put into place the last two years coming out of that stemmed from that foundational learning experience, so we thank you very much for your guidance and support. Thomas Murray: Well, congratulations to both of you. What an honor it is to have you on. What an incredible video you all put together, but most importantly, that video highlights some of the amazing things happening in your district, amazing opportunities for kids every single day, so congratulations for that. We’re proud, and we will be sending you a trophy, the first-ever, very, very, very soon. You know, we have pulled about 20 of our district school and individual entries, and you can view them on the link below. Wow, I could not be more impressed with some of the incredible things that are happening. We did have some questions some in, so I’m gonna actually pause, and I wanna ask you a question. We had a question from Jill from Virginia when she registered. She said something along the lines of, you know, what happens when admin aren’t onboard with the types of things we’ve been talking about in that mindset? I’m not sure if she’s speaking from experience or not, but what happens when admin don’t seem to be onboard, but as a teacher or teacher leader, what can they do to make it a grassroots effort if they’re feeling like that admin’s not onboard? What would you guys say to that? Who wants to jump in? Suzanne Lacey: I think there are power in numbers, and great teachers can move mountains. And I would encourage Jill and her colleagues to really do their homework, do the research and showcase what change can really mean to a classroom and a school district. And teachers, in my opinion, are our greatest resource and the smartest people in the school district. So I think pulling together, presenting a good plan of action and showing the higher-ups how it could look like, what it could be for our kids. And that perhaps would really empower students to also join the bandwagon and really encourage them to want more from their daily classrooms. Jimmy Casas: I would perhaps suggest that I would do it no differently than if a student wasn’t onboard. We would wanna find out why the student isn’t onboard and why the student isn’t willing to do the work. So I would begin by going and having a conversation and sharing with the principal or the administration, whoever the leadership is, and offering support, saying what can we do to help, we’d like to support you in this, and try to understand that perspective of what’s holding that school leader back or that district leader back and then I think it always begins with conversation. I think people wanna be great, so usually my experience is that something has happened in a prior experience that causes people to hesitate and perhaps not put themselves out there and take a risk. So the key is to find out why. Thomas Murray: You know, one of the other things that I’ll think about as you’re talking here is also going back to something Suzanne said and really sharing out the great practices. One thing I know about educators is they’re typically really humble people, and we don’t ever wanna change that. we see, you know, they lead with their hearts, and that’s great, so sometimes it’s difficult for educators to naturally say look what I’m doing, check out these great things. And I think when we really think through that, you know, whether it’s community partnerships and sharing out through social media and sharing with our community, although those things may not come natural, there’s certainly a need because that narrative, going back to what we talked about early on, and there is lots of negativity out there about our schools, but every day in every school, amazing things are absolutely happening. So to share that work, highlight that and don’t make it about you. Make it about the kids, and we share out the great things about the kids, that humility remains intact with that. So at this point, I wanna also encourage you. Today is only one of two webinars that we have. Be sure to tune in at 3:00 Eastern on our next webinar featuring innovation in schools. We are gonna be announcing winners for the school and educator film fest categories at that time as well. You are not going to wanna miss this, and there is still time to register. But unfortunately at this point, we are almost out of time, so I wanna take just a few moments to ask our panelists for a piece of advice, not for me personally, but for the rest of America. So something that they can share with their school or district leaders, something that’s very – that might be very relevant for them no matter where they are on the journey. We know we have great things happening every day in our schools across the country, but we also know there’s real struggles out there. We also know that we have real issues with equity that we have to keep working towards. We all know that every school and every leader is on their own Point A and they’re moving towards Point B. Let’s offer up, if we could, a piece of advice for each of them. Jimmy, let’s start with you. What advice do you have specifically for principals? As an advisor for our principal strand, talk to our principals from the heart if you could about one piece of advice on how they can continue to move forward, create the culture of innovation so things like digital learning can thrive in their schools. Jimmy Casas: I know you asked me for one, but I’ll give you three, but I’ll make ’em quick. Number one, don’t try to lead by yourself. Invite others to lead and more importantly inspire others to lead by example. Number two, you talked about Tom earlier sharing your core, and that is really important. But more important than sharing your core is actually living your core. I think one of the things we can often lose credibility is we can talk about these things, but if we’re not doing those things, I think we can unfortunately lose some credibility. And last but not least is begin to look at the culture that you want to create, the vision that you have, not through your eyes but through the eyes of the kids, through the eyes of the staff, through the eyes of the families, and allow them to help you cultivate this community of excellence that you so desperately desire. So culturize. Every student, every teacher, every day, whatever it takes. Thomas Murray: Suzanne, for you, let’s talk to district leadership. Talk to your superintendent colleagues around the country, other district level folks. How can they create this culture and this leadership so that our students can thrive? Deb Delisle: I would say invest in technology to support student learning. We started with minimal devices. We didn’t have the greatest devices in most of our schools. We started with the old desktops, but what we found quickly was that teachers were empowered to learn more and to rise to the occasion to teach their colleagues. Provide continuous professional development. There’s no lack of that in Talladega County Schools. In fact, the majority of our professional development is done by our very own teachers and administrators. So through this process of investing with technology to support learning, we have really created our own experts. And I think finally, and, Jimmy, you mentioned the vision, and you need to know what it – what you want it to look like in your school district. We did our research, we visited other school districts that were successful, and when we got there, it became doable. We could see what they had done and then, in our mindset, we knew we could do it too. I invite you to visit Talladega County Schools. We are a perfect example of building homegrown leadership from the ground up. We have many outstanding examples throughout our district in all 17 schools that we would love to showcase and share, and don’t be afraid to fail because we have failed many times. And through those failures and those reflections we’ve talked about, we have learned so much and are so much better as a result. Thomas Murray: Yeah, that fail forward leadership is modeling it for your teachers but ultimately modeling for your students as well. And, Deb, let’s wrap up with some advice from you. Talk – take another larger scale state leadership, federal leadership, what can they do? What advice do you have for them to help continue this work forward? Deb Delisle: So it’s really a composite of what both Suzanne and Jimmy said already is, you know, you have to model what you believe and not just talk about it, but you’ve got to model it. You’ve got to be so passionate about the work and you’ve got to always think about, you know, what do we want for our kids and their future, not in our present. So I always end with two words and that’s just be extraordinary. Be extraordinary every single day. Thomas Murray: Love it. It’s hard to top that, that’s for sure. I do wanna thank our guests for such a lively discussion, and thank you, our viewers, for joining us to celebrate our eighth annual Digital Learning Day. I encourage you to join this afternoon’s webinar to learn how librarians, instructional coaches and teachers are leading innovation in schools and for the announcement for our other future ready schools film fest winners. You can see that webinar again live today at 3:00 PM. An archived version of today’s webinar will be available at All4Ed.org/webinars in the next few days. Thanks again for watching, and happy Digital Learning Day.